Here’s a girl with a cute short hairstyle who we ran into on the street in Shibuya. 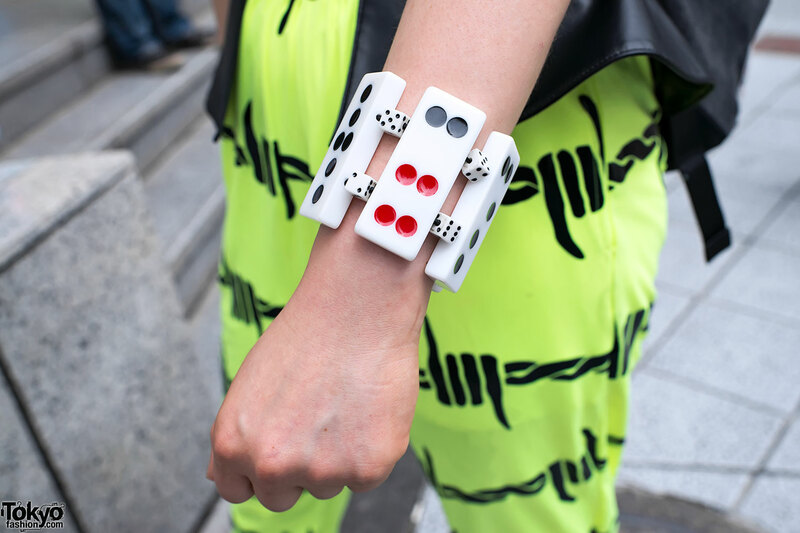 Her high-waisted graphic pants are the first thing that caught our attention. We’ve actually been seeing graphic high-waisted slightly-baggy pants around a bit in Harajuku and Shibuya recently. 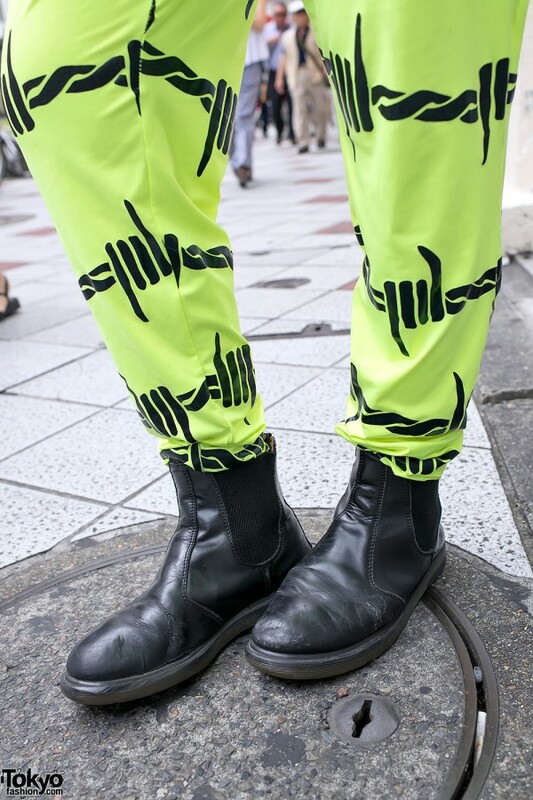 She’s wearing the neon barbed wire print pants with a wide belt, a t-shirt, and black leather boots. 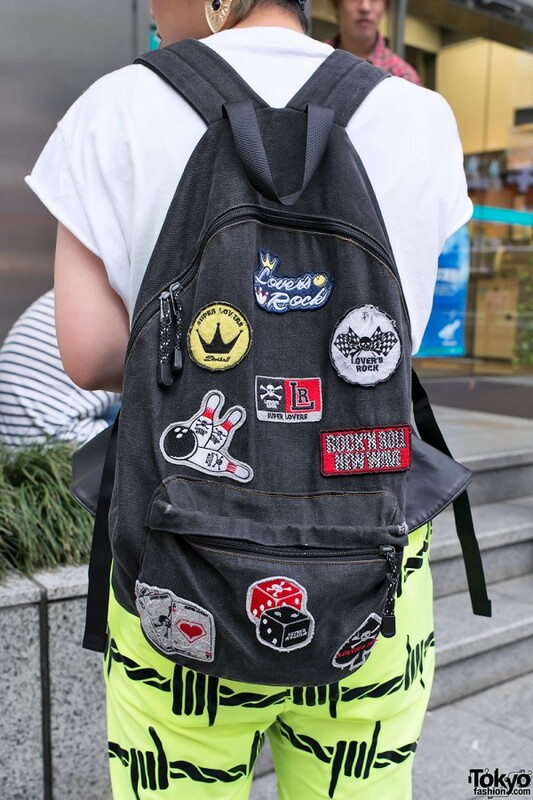 Accessories include a bandana worn as a headband, gold earrings, a large domino bracelet, and a patch-covered Super Lovers backpack. 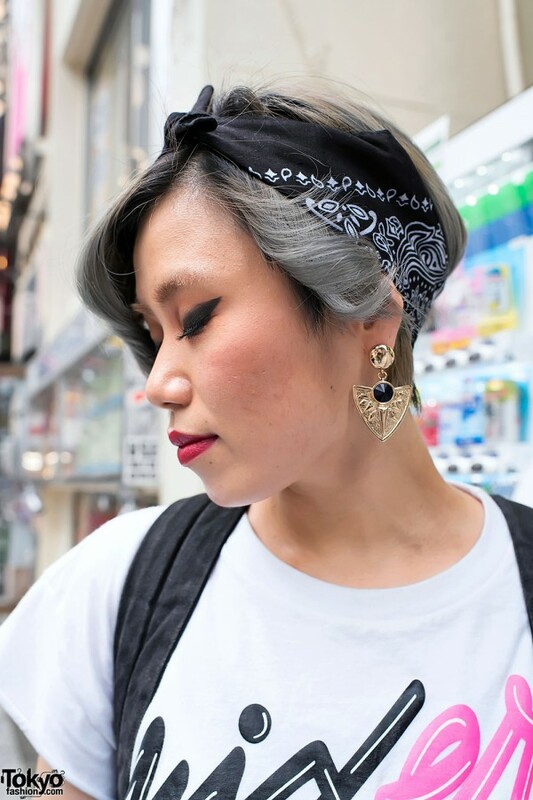 Her hair, make up and bandana are cool. 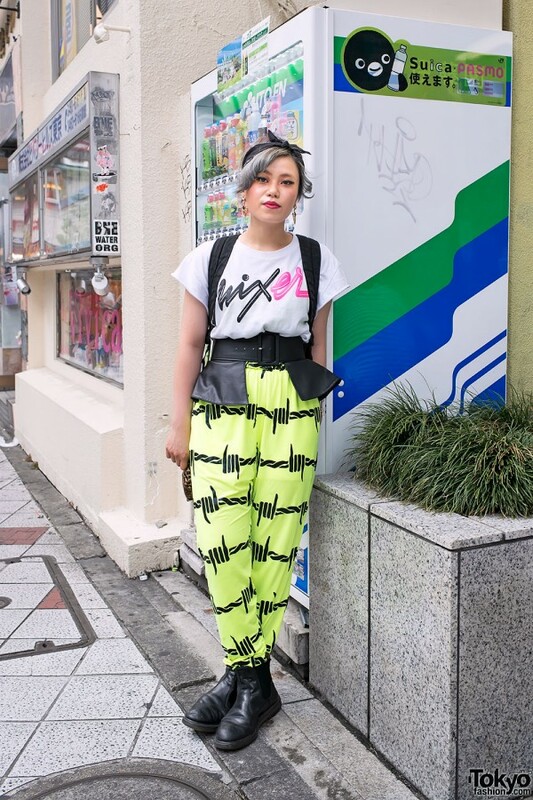 Am i wrong or she’s Eno-san the shop staff and press assistant of Galaxxxy in Shibuya ?